"...very happy with my new Cadillac ATS...It is great to know that we finally found a dealer we can trust!" 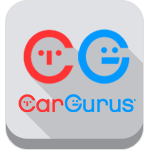 "...They installed New Brakes, Front End Alignment & New Radio On this well kept vehicle!" 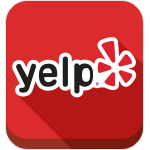 "This place is great, flexible, trusted, great customer service, great price..."
"My husband and I have came back to purchase our second car from here...they really work with you and very friendly." "...called them, made an appointment, tested it, liked it, made a GOOD deal and was out of there in less then 2 hours. ..."
"I was extremely pleased...sales person was very knowledgeable...I was very pleased." "...still own my car (200K mi. & going strong)...would definitely consider buying from Elegant Auto again." "The financing part went so smooth, Mario got us such a great deal,...Thank you Elegant Auto Sales! I will definitely recommend you!!" "...had the car checked out with a mechanic...It's immaculate, just like the dealership said." 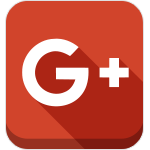 "My Experience at Elegant Auto Sales was wonderful... I am very happy with my car... Definitely going back for my next car." "Mario was a great sales person, thanks for everything!" "...they repaired what was needed and made me realize my own mechanics where the crooks by over charging me for a simple repair." This place is great! I recently bought a 2010 Prius at the best price seen anywhere! The people here are friendly and know their stuff! They even offered me a few places for car insurance because I wanted to be able to save some cash. My car is in great condition and the Staff here takes care of their inventory! Danny helped me and he was very sincere. He never tried to scam me or rip me off. He was honest about all the cars and even let me test drive as many as I wanted. I asked a lot of questions and literally every person answered them without judgment. Every person that works here is good,kind and honest. They will not scam you! If you need a great car at an unbeatable price, just go to Elegant Auto Sales! I would like to really thank you guys for selling me a great product, the van has done its job under heavy loads consistently and not had one single problem to date. It has nearly 200,000 miles and is running as smoothly as can be. THANK YOU! Looking forward to my next purchase with you all there at Elegent Auto Sales. Thanks and have a great day. Picked up a 2010 Honda Civic GX just before Christmas (You know, Jesus' birthday, not a shopping season?). No hassle and they moved the cars for me so I could test drive it (at least four), no questions asked. They grabbed a copy of my DL and I was off. What I noticed about this place was that all the cars were clean and well priced. For a used dealer, very nice. You made it possible for me to get an excellent car at a excellent price. Thank you Elegant auto sales. 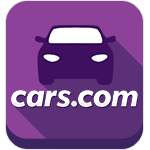 They have a large selection of used cars and i found a a Honda Accord with great mileage and good price. They were very helpfull and informative, answering all my questions. I was really impressed that the process was so quick and easy, and by the end of the day Iwas driving my new car My car was clean inside and out,just in such good codition and i will keep it the same way. With this economic crisis, the best way to go is honesty used cars and out of all the dealerships I went to for used cars, this lot had a selection that was impressive and at such affordable prices.